Louie all the ones I have seen have been designed for utes, i.e they don't swing away. So if you fitted to the prado how would you open the rear door. Firstly, no, never had any experience with them. But, another question to think about is how it effects the departure angle of the vehicle when off road. Obviously no problem when driving on roads, but off road may be a little different. Quite often when dropping into a creek (dry or otherwise), as the car back wheels "drop" off the bank and into the creek, anything that hangs behind the wheels may hit the bank on the way down. Obviously this depends on the size of the drop off but if you look behind your back wheels, you will notice that you only have a foot or so before things start to get in the way. The further behind the vehicle the item is, the more prone to getting hit. Similarly, as you climb out the other side of the bank (or go up a steep driveway in suburbia), as the front of the car goes up, whatever is hanging behind the rear of the back wheels pivots down. 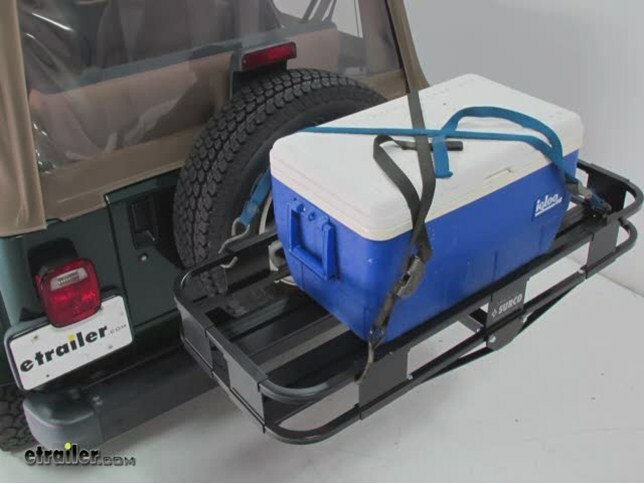 So in either case, having a storage case that is mounted to the tow bar (low) and extends out the back by half a meter to a meter may give you grief. As I said, I have no experience with these so am not fully across the design of them. But when I was looking to fit a steel rear bar to Sooty with twin wheel carriers on it, this was a consideration for me too. That is, if the new bar was going to improve or restrict my clearance. 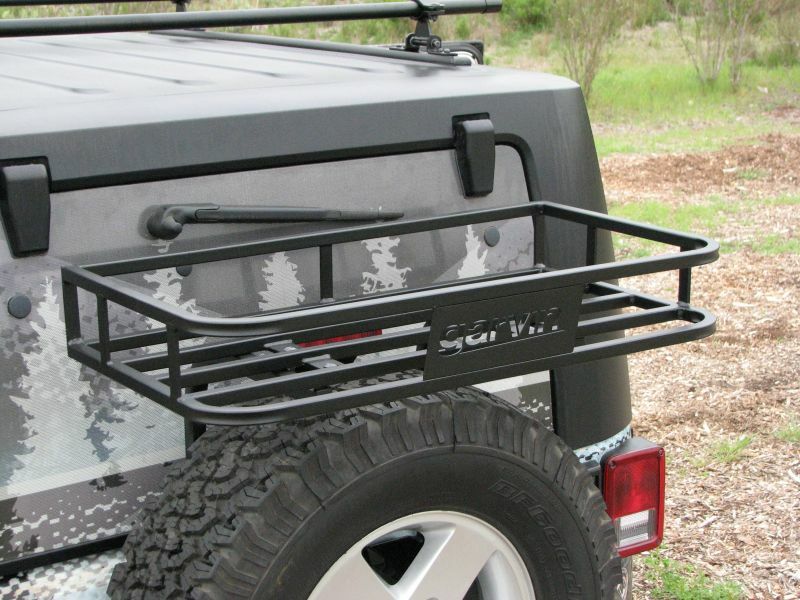 All of these images are from the US but I am sure that one of the Jeep specialist here in Aus would have something? that a motor vehicle can have based on 60% of a vehicle's wheelbase. You are going to run into the whole debate of legal/illegal with just about everything that you ad to the vehicle. I can not comment specifically on what you have been told however I would pose one question - How do they explain bike carriers that fit on spare wheels or into tow hitches as they would be this sort of length?